In a determination delivered by a California federal court on Thursday, Qualcomm was found to have no grounds for the clawback of funds dispensed to Apple under an incentive payments agreement, nor relief of payments withheld, meaning the chipmaker is out billions of dollars. The summary judgment from Judge Gonzalo P. Curiel of the U.S. District Court for the Southern District of California, handed in today, finds Qualcomm's counterclaims to a clawback based on a Business Cooperation and Patent Agreement (BCPA) without merit. As noted by FOSS Patents' Florian Mueller, Qualcomm sought a reimbursement of billions of dollars handed to Apple as part of quarterly BCPA payments paid out over a period of three years. Under the agreement, Apple promised not to "initiate or induce certain types of litigation or investigations." Summarized by Mueller, Qualcomm's arguments claimed Apple broke its BCPA commitment by speaking with -- "lying" to -- Korean antitrust regulators, allegedly inducing Samsung to influence the Korea Fair Trade Commission in expanding its investigation of Qualcomm business practices, allegedly attempting to expand the scope of a European Commission probe and allegedly inducing the U.S. Federal Trade Commission to level an antitrust lawsuit against the chipmaker. Further, Qualcomm claimed the BCPA's safe harbor clause does not cover Apple's decision to respond to questions from government regulators. Qualcomm in its counterclaim asserted that the BCPA prohibitions do not contravene public policy regarding cooperation with government regulatory bodies. Judge Curiel took issue with the stance. "Under these circumstances, enforcing the BCPA so as punish Apple for responding to regulatory investigations would deter parties from responding to regulatory investigations and have the effect of concealing ongoing illegal conduct to the detriment of the public and perpetuating improper conduct," Curiel writes. Judge Curiel disagreed with Qualcomm on each of the antitrust-related enforcement contingencies, effectively siding with Apple in its motion for partial summary judgment. As such, Qualcomm is not entitled to a refund of payments tendered and is not released from making further payments under the BCPA, like funds allegedly withheld over Apple's participation in an FTC probe. Qualcomm stopped paying rebates to Apple in September 2016. The summary judgment is one of many moving parts in Apple's case against Qualcomm. The Cupertino, Calif., tech giant initially sued over a breach of contract on Qualcomm's part that amounts to nearly $1 billion in patent royalty rebates. 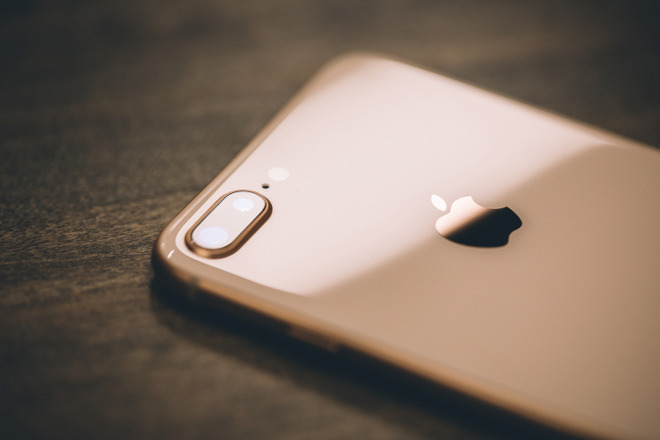 Thursday's ruling applies to a Qualcomm counterclaim that sought to claw back funds paid out to Apple between 2013 and 2016, the effective dates of the BCPA, as well as the onus for rebates withheld in 2016. Judge Curiel's ruling does not take effect until a trial slated for April is completed. Qualcomm will likely appeal the decision. Apple is fighting Qualcomm on multiple fronts as part of a wide-ranging legal battle that spans the globe. Most recently, jurors in San Diego heard closing arguments in a patent infringement case leveled by Qualcomm. The jury is still deliberating, but a decision is expected to arrive this week. The start of a series of congratulatory parties at Apple to come. You have to give QCOM credit trying to say that Apple owed they money because they talk to the Korea government. There is no way QCOM could stop Apple from talking to them, no agreement can make another company do something illegal. Some lawyers get paid only if they win, and I've heard it's 30% of the judgment. Does Apple have its own lawyers on staff? If so do they get any bonuses when they win? Or are they just paid flat salaries, and if so how much are the salaries? Sounds like a case of iWin for Apple. I think it’s safe to say that a trillion dollar company has its own (large) legal team(s). Apple isn’t likely the type of plaintiff that calls the ambulance-chasing contingency lawyer with the obnoxious television commercials. Hopefully the appeal judges will make Qualcomm pay up while they consider the case. Qualcomm already paid. This case was them trying to get some of it back. The article above says they paid some of it and withheld the rest. So they will have to pay if it’s upheld. The last paragraph of this article seems to confirm that. Apple has its own lawyers for "everyday" lawsuits but companies hire outside legal counsel for these high profile cases. And they pay by billable hours most likely. I appreciate answers like yours, but without knowing where you get this information it's unsubstantiated. Apple’s has a legal team of 500. I don’t know if they get bonuses for winning cases, but I’m pretty sure a corporation like Apple is going to pay top dollar for A-Rated talent. Two independent law firms handled the Samsung case for Apple and I’m sure it was by billable hours. There's no "pay up". QC already paid, tho I think there could be maybe a $B they didn't. Not entirely certain but I'll be checking. In essence QC wanted money back they had already paid Apple, thus the use of the term "claw-back". He's right. If you really want to confirm for yourself (don't take my word for it either) go to Scribd and search for documents filed in this case and at the top the names of the attorneys those docs are ascribed to. Note that there's often additional counsel at the end of the filings. Big cases like this involve a whole lotta outside counsel, and from a number of different firms. Even Apple can't realistically afford A-Rated legal folks on their own staff like the ones used in $B lawsuits such as this. If they could they would IMHO. Apple's in-house legal staff serves other purposes. Ouch - $1b! So what’s the score now with all the Apple-Qualcomm suits? I feel like we need a poster-sized diagram to keep track of everything but it seems like QC hasn’t been faring too well. Apple is really trying to kill Qualcomm from all fronts. Apple had asked suppliers to withheld billions of royalties from Qualcomm but is asking for rebates that they didn't pay for? They won this round in a court of law, so what isn’t working here?